1-3: © Ruud Altenburg, 23-06-06 Amsterdam, Netherlands. Blue J2CV is a conspicuous individual from the same population as JUX7, showing an immaculate white head and underparts. 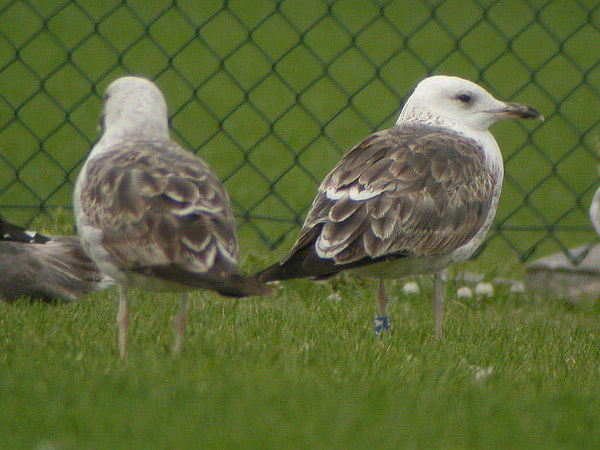 Speckling in the hindneck creates a 'boa' often considered typical for Caspian and Heuglin's Gull and the thin, slightly drooping bill (compare to the other 2cy LBBG in plate 2) also recalls the latter species. The scapulars are a mix of brown worn feathers and fresher grey feathers; in both the markings are restricted to a dark shaft streak. 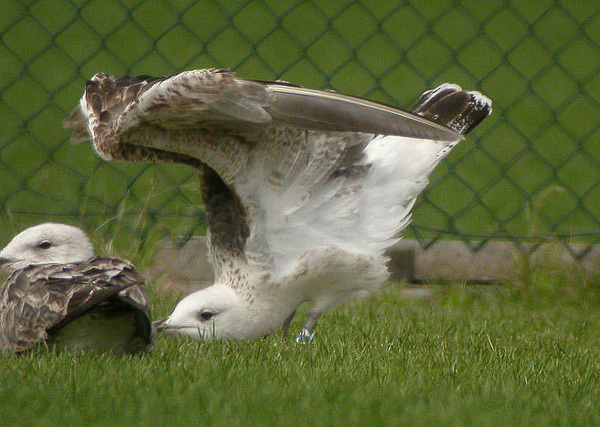 The wing coverts are a mix of worn grey second generation and brown juvenile feathers. The tail has been renewed except for one central feather. Primary moult: P1 fully grown, P2 growing, P3 missing and P4-10 juvenile; all secondaries juvenile. 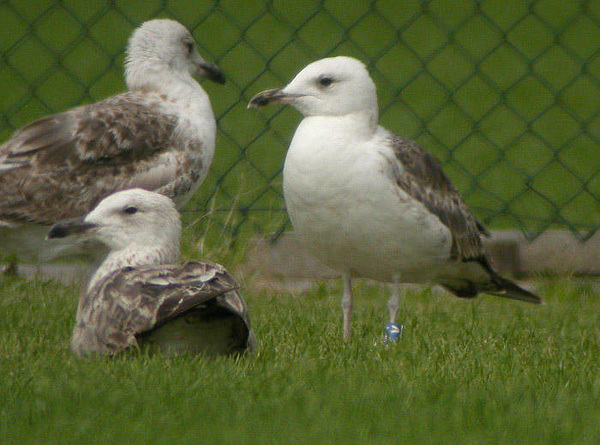 This individual demonstrates that it is likely that none of the characters described for Heuglin's Gull, such as a white head, white underparts, speckling in the neck, finely barred axillaries and a thin, drooping bill are exclusive to this taxon. More research is needed to determine how an unringed bird looking like this could be separated from a heuglini.